Step back in time and discover Scotland’s rural history at Auchindrain, the most complete and well-preserved example of a Scottish Highland farm township. Vividly imagine life in the old Highlands as you walk through the settlement and see how ordinary people lived and worked. Step into the restored longhouses, see the objects of everyday life and learn about the past inhabitants. Explore the byres, stables and fields to understand how groups of families worked the land in common. Uncover a fascinating, long-vanished Scottish way of life deep in the hills of Argyll. Auchindrain is six miles south of Inveraray, just an hour and a half from Glasgow. There are no jobs with Auchindrain Museum at the moment. Sign up to email alerts below to get notified when new jobs are added. 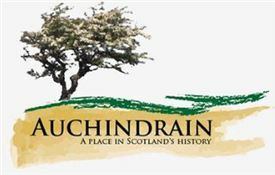 Get the latest jobs from Auchindrain Museum sent direct to your inbox!